Yesterday I talked about the team it took to get a broken phone up and running. It made me realize the dependency of a device that wasn’t even around when I started in real estate. Here are just a few phone tasks that I’ve become used to. Others might say we are ' truly dumbed down' when we need the phone to get the time, temperature or the direction we are going. Who can live without Google? And then there’s Seri my assistant. He can answer all my questions, send texts, make appointments, retrieve messages, read my email, knows everything and takes commands especially while driving. And more emailing, texting, maps, direction, all the listings, and this device allows me to stay up with Active Rain. And once in a while, I use it to make and receive a phone call. How did I become so dependent?? It really is quite amazing how much we get done during the day with our cellphones these days. I often shake my head to remember when I first was licensed as an agent (1981), the Internet wasn't born yet! When I became a Realtor, we didn't even have FAX machines. When my grandmother was a child, we didn't have airplanes. My Siri never knows anything and she is completely useless. Hi Margaret Rome, Baltimore Maryland if I misplace my phone for one second, I go into a pannic. I do not use siri, just never got into it! They are truly computers in the palm of our hands! Myrl Jeffcoat We have come a long way but are also quite dependent on our devices. Maybe your SERI should be a male like mine. Christine OShea Seri was a big help and some of the functions worked by using this feature. Ron and Alexandra Seigel We have so much to be thankful for. Our phones, our electricity, our hot and cold water and all of our other conveniences...hope to never take them for granted. 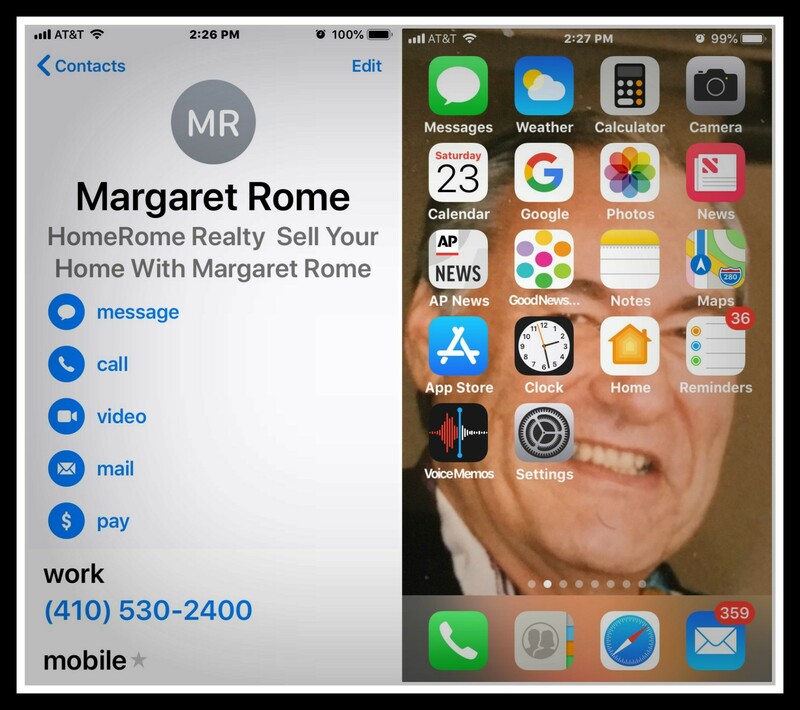 Hi Margaret Rome, Baltimore Maryland . We have truly become dependent on that stupid phone! I really miss the land line and an opportunity to have my answering machine take my calls! What were we before that mobile? Can we go back to life before? In some ways, I really wish we could. We've all come to depend on those little devices. It's like getting in your vehicle and driving to a listing appointment then to remember you didn't put o your pants, bring a listing agreement or a yard sign. It's so true - there is so much functionality in that one little device. And I keep finding new things that are helpful. I've known about the flashlight for quite a while but recently found out there is a level as well. Cool! Good morning Margaret. I have some friends that have me wondering if they know their device can make phone calls! Enjoy your day! Wayne Martin That is one very funny comment. Thanks for the smile. It is wonderful to have an all-in-one device. I won't say it has simplified life but it sure makes doing tasks more convenient and efficient, doesn't it? Hi Margaret - so true and so relevant. There was a time when the question "where did I put my keys?" meant something very different. Our world has forever changed. Well said! My whole life is on my phone! I misplaced mine Friday for two hours. I learned how much I am dependent on it! It was a miserable two hours. Margaret I forgot to bring my phone while out for a few hours and thought about going back to get it. Then I thought - na - if they really need me they'll leave a message and that's what happend. All was just fine.